Organic chia seeds from South America in stylish tin can. Chia is considered being the most complete food and the mother of superfoods. 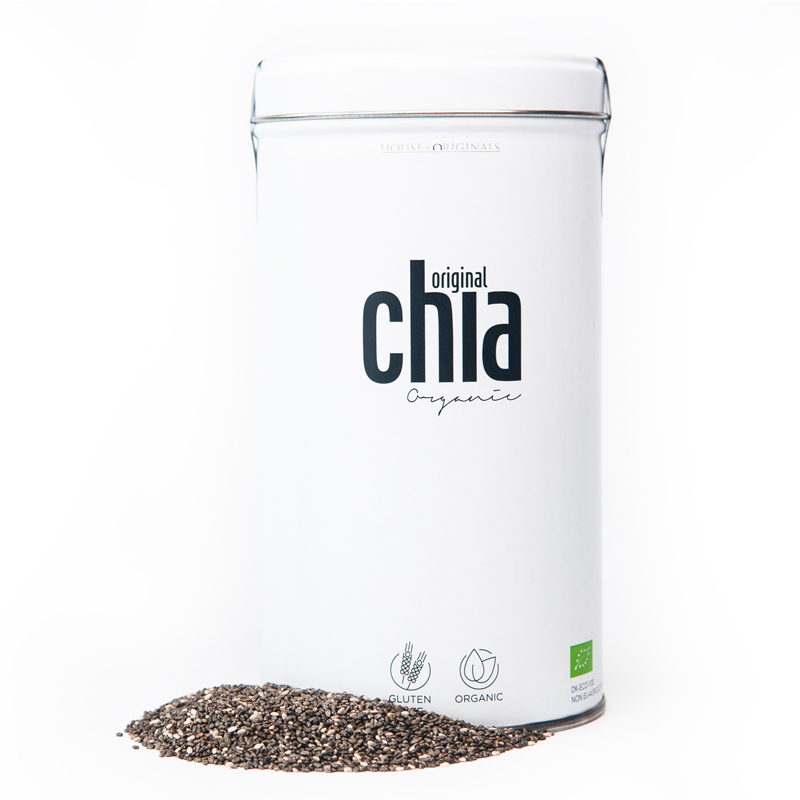 Chia seeds are hight on omega3, protein and fibre. English, German, Italian, Spanish and Danish. All of our organic products are being analyzed in a certified laboratory at arrival to the EU. This is to ensure our customers, that our organic products are in fact organic and comply to EU standards.